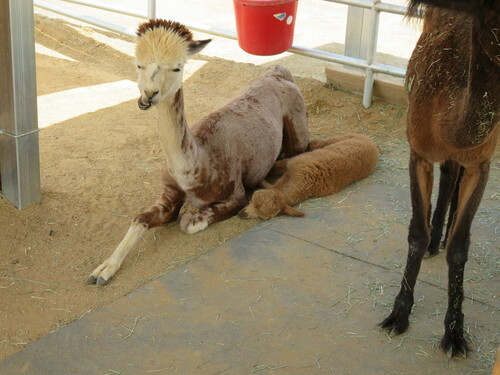 Alpacas of Menifee Valley is a farm located in Menifee, California owned by Art and Val Bradford. We are now offering private visits 2 Saturdays each month. 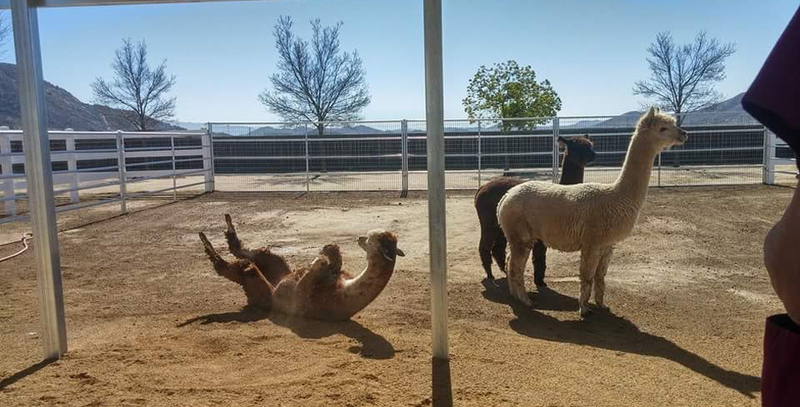 Call or email for fee and to reserve a time to experience our alpacas in a private setting and no crowds. So, we were city folks. Valerie and I both grew up in Huntington Beach, California from the age of 5. It was an awesome place to grow up in the 60's and 70's. We married shortly after high school. We hit the ground running. Flash forward.....3 sons, 8 grand kids, 20 - 30 years on our jobs, we began to think about retirement sometime in the future. Orange County and Huntington Beach had changed. 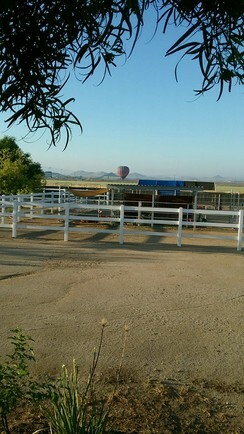 We sold our home of 25 years and moved to the Inland Empire. 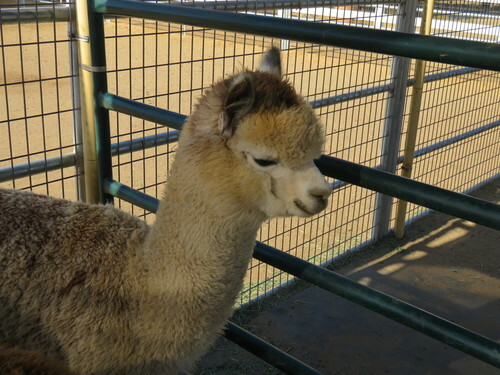 One weekend, we heard about Alpacafest West, an alpaca show in Norco, which was not too far from us. "Let's go see what that's about", Val said. We met some very nice people and alpacas there. That weekend started this adventure. We researched the alpaca industry, visited several alpaca farms and made the decision to sell our house and start our own farm. We purchase our home in Menifee in October and by December, we were alpaca owners. We are committed to making a profitable, efficient, small scale operation with multiple revenue sources. Along the way, we were lucky to find two great ranches as mentors with a total of more than 30 years experience in the business. Each mentor has a little different approach to this business, which has enabled us to see different avenues and make decisions on our own. We are growing and learning and having so much fun doing it. We love sharing the alpaca lifestyle with others. Check back from time to time and monitor our progress, as we continue on this adventure. 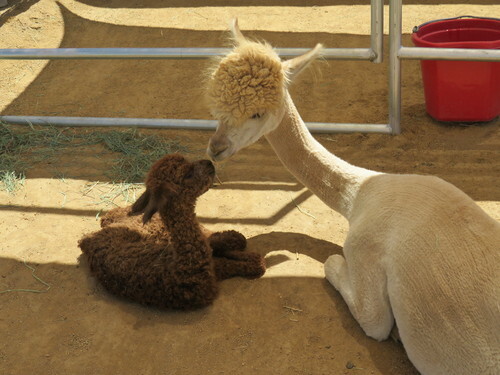 You can also visit us on our FaceBook page...Alpacas of Menifee Valley. In most cases we can help you with 0 % , short term financing to fit most any budget.